For any business looking to grow, e-Commerce represents one of today’s single greatest opportunities to target new customers and increase sales. For every €65 spent on acquiring visitors, less than €1 is spent on converting them into customers. On average retailers are spending 90% of their marketing budget on driving traffic to their online store but what happens when they get there. Did you know that 2% is an acceptable conversion rate? Spending marketing budgets on customer acquisition but not thinking about conversions is crazy, yet everyone does it. 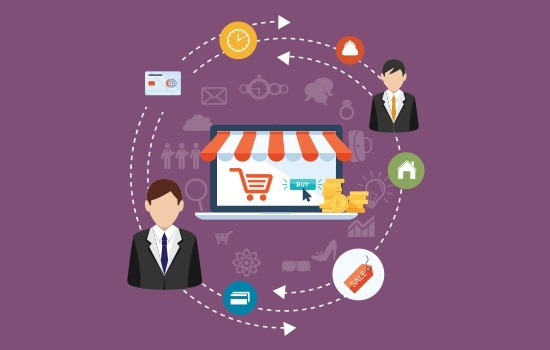 Are you ready to make your e-Commerce business successful? The ability to gather and utilise increasing amounts of data on customer behavior has allowed retail brands to start strengthening relationships with customers through behavioural targeting, personalisation and making the customer journey unique for each user. This can lead to a higher sales value (on average 14%) and a higher conversion rate (on average 120%). This type of personalisation has become an essential part of ecommerce during recent years, are you familiar with Amazon? Offering customers the most relevant content at all stages of the buying journey allows the retailer seriously engage with the customer beyond levels previously available. Selling your products or services online is like having a shop that’s open 24 hours a day, 7 days a week, all year round. Have an e-commerce system that is not performing as it should? Technical issues? Not enough traffic? Not enough sales? We can help. Talk to us about your vision and plans, selling online is very straight forward and we will guide you on where to begin and how to improve with examples and case studies of companies we have worked with to date.